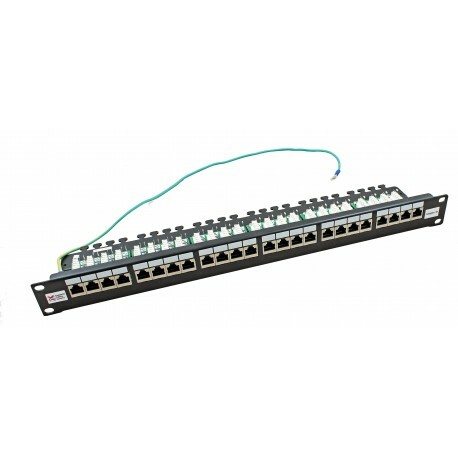 The CCS 2020 Series FTP shielded Patch Panel provides 24 shielded Cat5e RJ45 Ports in 1u of space. The right angled design presents the cable termination IDCs horizontally on a tray at the rear of the panel, making termination and cable management easier. 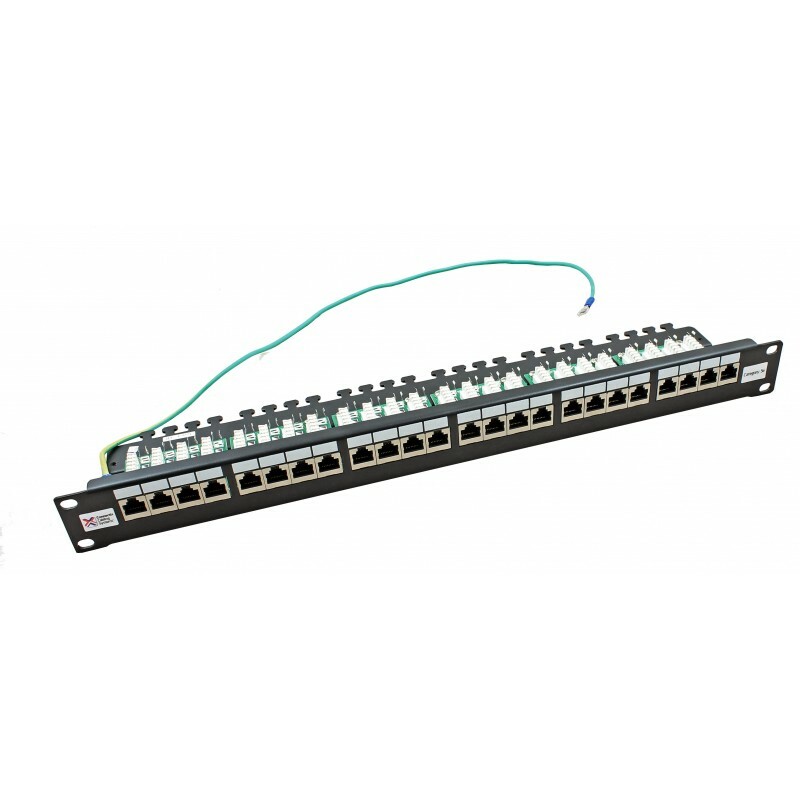 Cat5e panels provide exceptional performance for high speed LANs including Gigabit Ethernet applications in an easy to use format. When combined with Connectix Cat5e FTP Modules and Cable, the link will perform well in excess of the Enhanced Category 5 specifications.